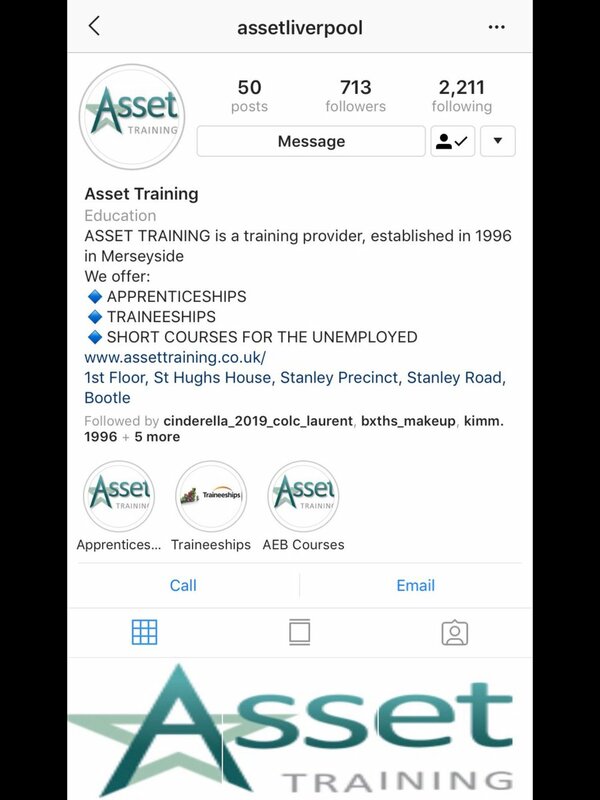 About Us - Asset Training & Consultancy Ltd.
Asset Training & Consultancy Ltd was established in 1996 and is based in Merseyside with multiple delivery sites across the boroughs, delivering high quality training and qualifications Nationwide. Asset specialises in the delivery of Apprenticeships from intermediate to higher level, Traineeships, commercial courses and functional skills, all programmes are bespoke and tailored to suit the employer and candidates’ needs. Asset Training and Consultancy has excellent employer links in the Liverpool City Region and is the predominant preferred provider for Sefton and is on the preferred supplier list for St Helens, Knowsley, Liverpool and Halton. There is a long standing reputation for Asset Training as a provider of choice for SMES in the local and wider Liverpool City Region. Asset staff are passionate, experienced and learner focused and we will do all we can to help learners, employers and organisations by providing quality delivery and utilising technology in delivery and assessment. We are proud of our latest Ofsted inspection which took place in February 2016 and we retained an overall grade of ‘Good’ achieving ‘Good’ in all aspects. The different training options available. The most appropriate development programmes to meet your business needs. Regular progress updates throughout each programme. Regular opportunities to discuss and feed back on all aspects of the programmes. Most importantly we find out what you want, we listen to your needs, and then we DELIVER. Identify opportunities open to you. Understand more about yourself and what you are capable of. Consider the implications of your chosen options. Plan the path towards your chosen goal. Identify ways to overcome any barriers that may be in your way. Plan your next step before you finish. Our innovative and popular ‘Onefile’ assessment and portfolio building system. Mobile contact numbers for all of our assessors. Instant email access to all of our assessors.